The current applications are now closed, but if you’d like to be on the waitlist, CLICK HERE TO APPLY for the 2019 summer program! Light Grey Art Lab is a community oriented arts organization dedicated to bringing practicing artists together to exhibit, collaborate, learn and share. We invite artists to apply for a spot in our 2019 residency program. Join a small team of exceptional creators and academics on a journey of discovery, collaboration and inspiration to one of the most incredible and fragile landscapes in the world. Dipping into the Arctic Circle, Iceland's landscape is a paradoxically gorgeous mixture of fire and ice, home to fragile (but hardy) varieties of lichen, bird-life, and glaciers. We welcome artists from all over the world to apply for this residency and are looking forward to the diverse backgrounds and perspectives we'll share abroad. Our upcoming 6 day / 5 night residency program will take place during the summer season in 2019 where we will be hosting our incredible groups of creatives. 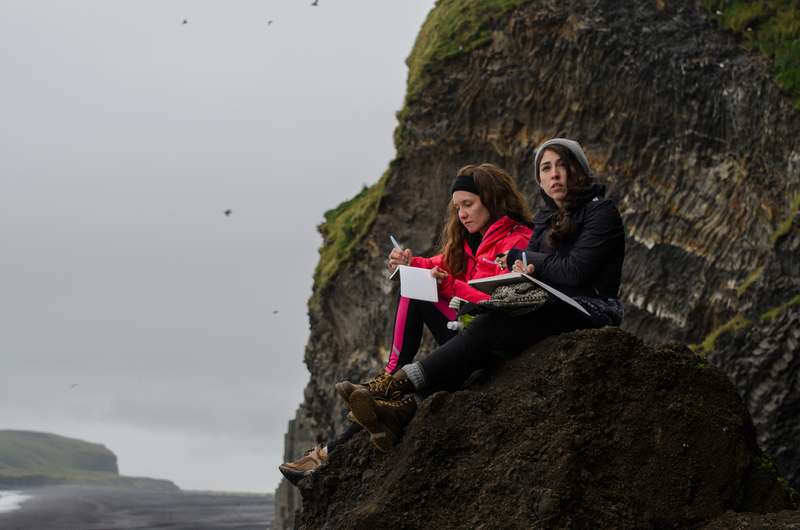 We will be sharing a traditional Icelandic space together as the home-base of our exploratory journey, where we will wander the Icelandic landscape together, create work out in the field, experience nature at it's most primal, and participate in creative lectures and workshops led by our artists-in-residence in the evenings. Our emphasis is on connectivity, discovery, and learning together. We welcome creatives interested in sharing their creative experiences with the team, and those eager to learn something new alongside others. The LGAL artist-in-residence teams are selected to emphasize a wide range of professional experience, insight and creative content, and we look forward to building teams that promote creative exploration, honest and insightful conversation, and many moments of wonder. There is no specific type of creative practice that we are looking for -- just an honest and thoughtful consideration of what one might bring to the group, and one's reasons this program might be a good fit. We strive to create a very intimate, positive, sincere, and playful environment for all involved. In the past, we have had the pleasure of hosting artists from the fields of academia, illustration, animation, visual development, video game development, publishing, product design, textile art, art direction, comics, and photography, among others. Artists-in-residence have joined us from many places around the United States, Canada, Germany, Italy, France, Australia, Austria, and beyond. We welcome new perspectives and look forward to reviewing this year's applications. Light Grey Art Lab team members, Lindsay Nohl and Jenny Wells will be joining us for the 2019 program to help guide artists-in-residence on their wild arctic journey. Check out their team profiles and those of past artists-in-residence here! We invite you to join us in a collaborative journey that incorporates learning, discovery and exploration amongst a rugged, majestic landscape as create and stretch our creative practices amidst the untamed wilderness. Not only are we hoping that the experience renews a sense of wonder in the way you make, but it can also influence the creative processes and considerations of your students, colleagues and peers. We have an opportunity to learn from each other's practices in a collaborative environment, engage in rich discussions about our work and about the world we live in. Light Grey Art Lab founders Lindsay Nohl and Chris Hajny have traveled many times in the last several years to explore their own creative practice and to be influenced by the landscape. The Light Grey Team developed the residency program as a means for creatives to share a sense of wonder, discovery and reinvention with one another in a location that inspires growth and reflection. The environment in Iceland is entrancing on a grand, and primal level, and we wish to bring leaders in the arts world together here to learn and share thoughts on creativity, problem solving and ideation, and learn more about why we need to use our power as creators in art, illustration and design to change minds and make an impact upon our return. Our trip will include 6 days in Iceland, where we will coordinate a pick up for all artists in residence and depart for the rugged terrain and head to our home base where we will spend the next 5 nights creating, sharing processes and making day trips to some of Iceland's most majestic and secluded spots. We are opening up sessions for the 2019 program and will be looking for artists that may be flexible with our summer dates! Please note in your application if only one set of dates will work for your schedule. We greatly appreciate your flexibility! The Iceland is packed with natural wonders such as the famous (and well trodden) Blue Lagoon, Geysir, and Gulfoss... as well as off the beaten tracks of land that lead directly up to the tongues of Vatnajokull, Iceland's largest glacier. Crystal clear water breaks upon black basalt beaches and volcanic landscapes are softened with mounds of spongy green moss and lichen. 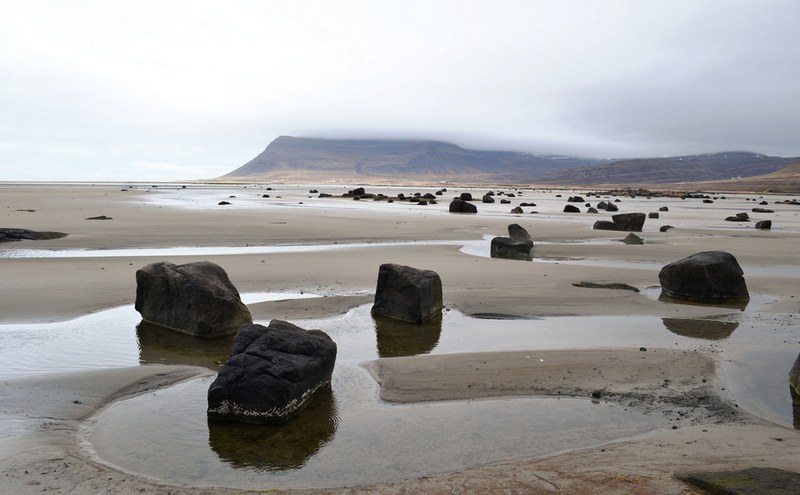 The North is home to Basalt formations, wild waterfalls and meandering wildflower trails, sea-stacks and lonely beaches. Each year we explore a different area and our artists-in-residence get to experience a residency program like no-other. During our travels we will host lively discussions about the creative process and our individual practices, as well as spend studio time both at home and in the field for those individuals that are inspired to create. Family style meals will be prepared and we will be renting a van to take day trips out to the wilderness where we'll have plenty of time to explore and experience Iceland to it's fullest. Transportation will be provided to and from our rendezvous spots on the first and last days and we will be providing a schedule of activities to all involved before the trip as well as information on how to prepare for your stay so you have a comfortable and incredible time. Part of the experience we are looking to create involves a willingness to embrace experimentation, sharing concepts and conversation, and engaging in new ways of ideating. As part of the program, we have set out to include some incredible objectives for our trip. • Each morning we'll join for coffee, tea and a continental breakfast as we prepare for the day's trip. Bagged lunches will be prepared before departing and we'll meet to chat about the day's activities. • As we start our day, we'll head out on a day trip to a unique set of locations These will include hikes to a variety of secluded natural wonders, where we'll spend the day exploring, sketching, and experiencing. How you spend this time will be up to you, and we'll be providing a series of optional exercises or prompts for those people wishing to challenge themselves. • As part of our exploratory journey, we will be recording (audio and photo documentation) our explorations, conversations, and the results of our collaborations. We wish to capture the spontaneity of some of our moments as well our reflections on the process as it unfolds. • We will return in the evening to a family style dinner, followed by a round-table discussion and workshops, and time to enjoy the evening with the other artists in residence. • Throughout the week each artist will be asked to lead a 45 minute workshop on ideating, process, theory, or another personal process with the rest of the group. Our objective with this is to expand each other's practice and to explore within our creating. • The rest of the evening is open for creating, relaxing or otherwise! The cost of the residency is $1750 usd and covers meals, transportation from our rendezvous location, gas, lodging and some of our workshop supplies for 6 days and 5 nights in Iceland. The airfare is not covered and is the responsibility of the guest. We recommend Iceland Air as they have great fares, but there may also be other airlines that offer great deals to Iceland. • We will be sharing a home with a variety of sleeping options. The trip itself will be cozy and simple, but comfortable. All guests will be provided their own simple bed / mattress and rooms will be double or triple occupancy in dorm-style accommodations. We will try our best to accommodate room-mate requests. Creative couples will most likely receive the small rooms with double beds when possible, and individual travelers will be in shared rooms, with single beds. Occasionally we will be able to offer air-mattress accommodations for those on a budget. Please note in your application if this is something you are interested in and we can provide you with any information if possible. More information will be provided upon sign-up. 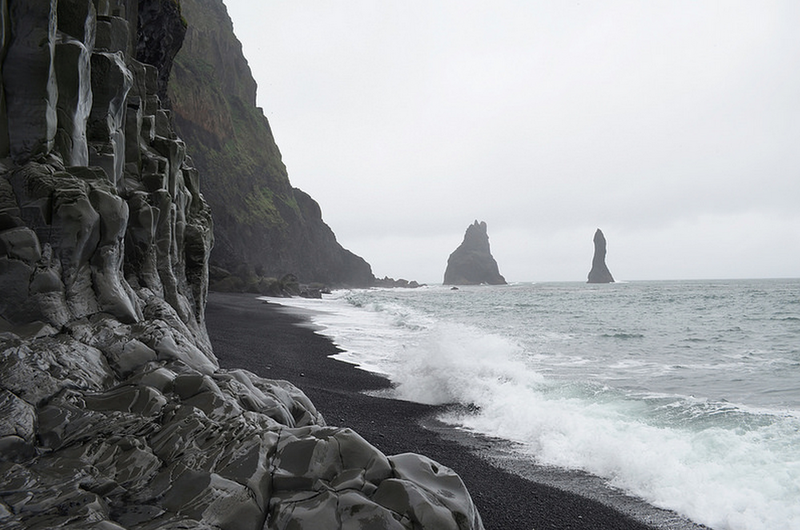 • Iceland is quite rugged and our travels will lead us to strange and exotic atmospheres, so we suggest bringing a variety of warm, layered clothing including a waterproof jacket and boots and we ask all applicants to consider that we will be walking, hiking, and traveling for most of each day. • Since we are right about at the Arctic Circle, it will be light out about 20 hours of the day. • The weather ranges from 50 to 70 degrees depending on our location, and the temperature drops at night and when we are near large patches of ice. • We will help facilitate all schedules including arrivals, departures, programming and schedule for our day trips and will be reaching out to all artists in residence in the weeks before our journey to help provide additional resources and information about the experience. • On our first and last days, we will pick everyone up from a pre-determined rendezvous location. Since our residency is held in various locations around the country, this information will be delivered to the participants upon acceptance along with information on how to meet up with the group on the very first day! • The cost of the trip is non-refundable and payment is required 2 weeks upon acceptance to secure a position in the program. Please feel free to ask any questions and we would be happy to help! As part of this collaboration, we will be hosting a permanent archive on the Light Grey Art Lab gallery site, celebrating the process and the outcome from our time in Iceland. We look forward to documenting and sharing process, sketches, and experimentation that came out of our time together. This includes artwork created while on our trip, as well as artwork created afterward that was inspired by your time abroad. The idea is that, as creative forces, we may be able to learn and be inspired by each other in ways we may never have before. As innovators of all types, we have the ability to experience this landscape like many people can not, through physical and artistic exploration as well as reflection through our creative and academic work -- with the potential to share our knowledge and our visions of this shrinking landscape. 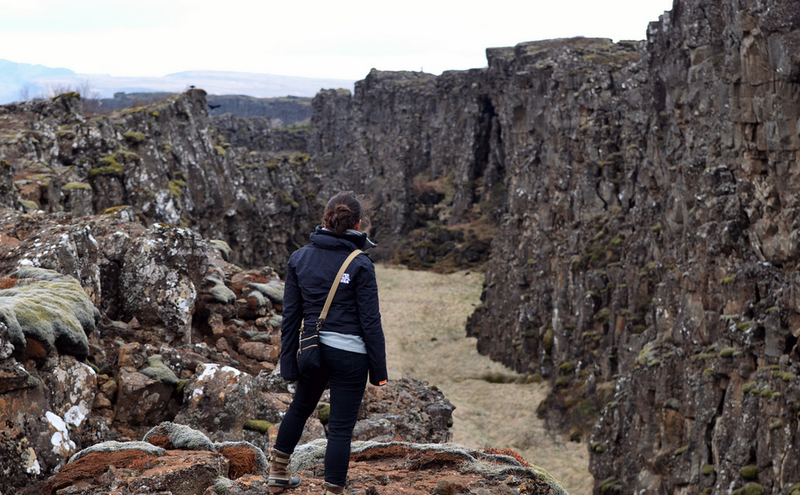 The view near Þingvellir, where the North American and Eurasian tectonic plates divide. We are happy to announce that we are providing up to $800 in scholarship for one or two artists in residence on the 2019 program. We are looking for a helpful artist or two to assist the Light Grey Art Lab team with tasks such as assisting with meal preparation, assisting the other artists with their workshops, helping with creating a team graphic, or assisting while we are traveling throughout the countryside. All artists applying for the work/study scholarship will receive scholarship credit toward their accepted spot in the residency. Scholarship recipients will be notified upon acceptance and the amount of the scholarship on or before the October 15th announcement date. Submit your information below for work/study scholarship information. Any questions about the scholarship can be sent to hello@lightgreyartlab.com and we can help assist you. 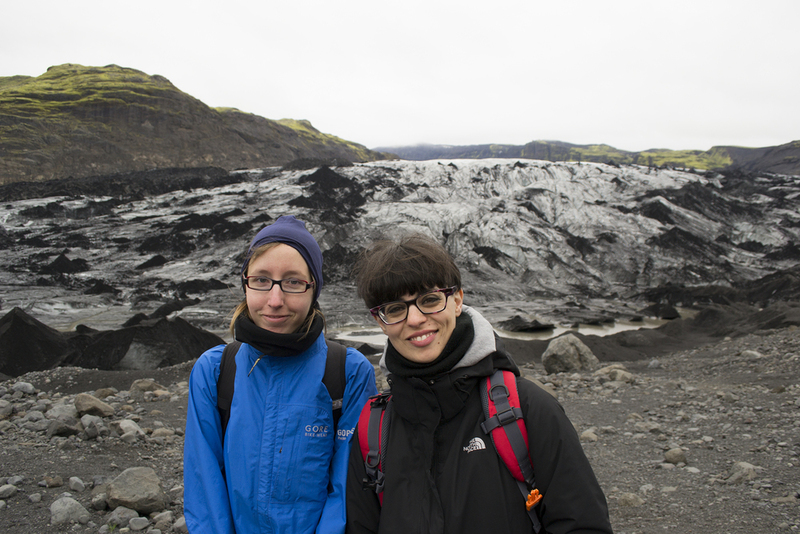 We hope you can join us for this year's Iceland Residency Program. To apply, please submit the application form at the top of the page and we will email you within several weeks of receiving your application. The final date to submit an application is SEPTEMBER 30th, 2018. We will be notifying all applicants of their status before OCTOBER 15th and publicly announcing our artist-in-residence list at that time for the 2019 residency program. Please note that we are looking for a group of individuals with diverse backgrounds in art, culture, and practice, and we would love to hear about your expertise, interests, and anything else you may wish to add. Our application process celebrates these details and we look forward to putting together an incredible team of artists-in-residence for 2019! Thank you, in advance, for your interest. Please let us know if you have any questions about the experience, or anything else and we would be happy to accommodate. Please email: hello@lightgreyartlab.com with any questions or interest and we'd be happy to send you any other information. Here's to an incredible adventure in 2019!